Experience the trip of a lifetime guided by The Rev. Dr. Kamal Farah and organized by Laurie Parrish of St. Paul’s Bellingham. 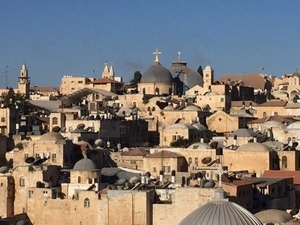 This Holy Land Pilgrimage in the Footsteps of Jesus is planned for 5/24-6/10/2019. Contact Laurie Parrish at lauriecpa@att.net or 360-527-1266 for more information. Join us for preparation and planning meetings, or just to learn more…Saturday, September 8, 2018 at 10-11 a.m., Saturday, January 26, 2019 at 10-11 a.m. and/or Saturday, April 27, 2019 at 10-11 a.m. A $100 deposit holds your space.